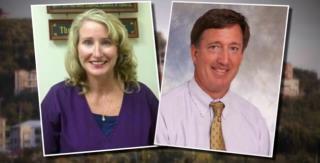 (Newser) – A Delaware family poisoned by a toxic pesticide during their 2015 Virgin Islands vacation will receive an $87 million settlement from the parent company of Terminix, which admitted using the banned chemical at the resort where they stayed, CBS News reports. Per the New York Daily News, a ServiceMaster Global Holdings earnings report released Thursday first made mention of the payout "to settle all civil claims of the affected family related to the US Virgin Islands matter." The company has already paid $3 million to cover the insurance deductible for the Esmonds, who were severely injured after Terminix workers sprayed methyl bromide—banned for indoor residential use since 1984—in the St. John condo unit below their own, per the Philadelphia Inquirer. The worst we ever did was use too much malathion in a cabin. Well, the cabin owner told us to have it sprayed ahead of his visit. This was the first year with a professional and licensed applicator. We did the spraying and then waited a couple days, and then swept up all of the dead bugs and told them it was ready. Well they showed up and the wife was livid. She made these particular bizarre points with me. 1) I can prove you didn't spray and said you did because I can't smell the chemicals. 2) Spraying always leaves a residue on the bathroom floor, lavatory, and the mirror, there are none. 3) We expected to find the place paved in dead bugs. We only saw a few of them. 4) The dog's allergies will flare up so much we have to keep him out on the porch for several days. He had no reaction at all. So, I called the old maintenance guy and he said here's what you have to do to make those idiots happy. You need to use malathion or else they can't smell the chemicals. You need to mix it about 2x from what the label says. Yes, you need to get messy with it, spill it on the sink, mirror, tub, and such. You need to leave all of the bugs for them to see, don't sweep them. I told the new maintenance guy to do his worst. They came back another week and were just elated that the place smelled like the Ortho factory. A big mess in the bathroom and yes even a few more dead bugs. Several years later we got new owners of that cabin. They complained about the smell and we told them what happened. Here's the fix: New baseboards, new curtains, new linoleum in bathroom, new carpet in rooms, some new paneling in rooms (yes, old cabin), operation of a large UV HEPA machine for months, placement of hundreds of soap bars in cabinets, closets, and such to sponge residual smell. New people still smell a tint of chemical and Zest before their brain incorporates it. When does someone go to jail? "fines, community service, and government costs" as part of the settlement, which is subject to court approval at an Aug. 25 hearing. Community service can just be paid off?